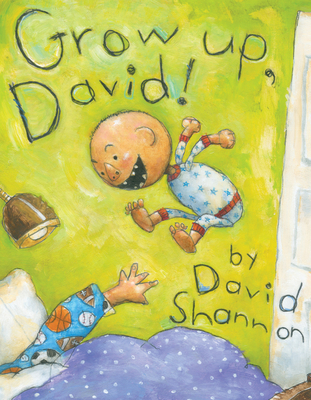 Home » Blogs » Blue Willow Content Team's blog » Bookworm Keynote Speaker David Shannon on Art, Read Alouds, and GROW UP, DAVID! Bookworm Keynote Speaker David Shannon on Art, Read Alouds, and GROW UP, DAVID! David Shannon has been a staff and customer favorite here at the shop pretty much since we first got our hands on How Georgie Radbourn Saved Baseball over twenty years ago. As an author or illustrator, he never ceases to amaze—from the Caldecott Honor-winning No, David! to A Bad Case of Stripes, reading a David Shannon book means signing yourself up to be delighted, surprised, and inspired to imagine. We're so, so excited that David is joining us for the sixth annual Bookworm Festival for emerging readers on February 2, where he'll deliver the morning keynote address. Before joining us at Jersey Village High School to meet David (along with the rest of the stellar Bookworm author lineup), check out our Q&A with the author below. No, David! was first released in 1998, and it's been years since we've had a new David book. What made you want to revisit David's world now? I didn’t think I was going to make any more David books—time to move on, and all that—but as the 20th anniversary of No, David! approached, my editor (Bonnie Verburg) started lobbying for a new one to celebrate. “No,” I said. “I’m doing new stuff now—no more David books!” But she kept nudging me and I realized an idea I’d been kicking around might be just the ticket. It was about the relationship between siblings—how they live under the same roof but have different sets of rules. Well, rules are what David’s all about, and I just happen to have an older brother…. How do you create the art we see in the David books? The actual art is done in acrylic paint with some Prismacolor pencil. The hardest part is the drawing—it’s supposed to be reminiscent of a little kid’s drawing, so I have to be careful not to draw too well. On the other hand, I also tell most of the story with the pictures, so they need to be expressive and contain a lot of information. The good part is, since it’s child-like, I don’t have to stay in the lines when I color! What makes a book a good read aloud? Hmm… that’s a tough one. Audience participation, drama, humor, surprise—there are lots of elements that can make for a good read aloud. I guess the ability to engage—both the audience and the reader—is the main thing. And that’s very hard to define. Sometimes it means that the kids are listening in rapt attention, other times it means they’re laughing and shouting out all kinds of crazy things. What books did you enjoy when you were a child and what books did you read to your daughter when she was young? Like everyone, I loved Dr. Seuss (still do! ), but I liked lots of different things—Grimm’s fairy tales, monster stories, and lands of imagination were some of my favorite categories. We read all kinds of great books to our daughter. When she was really little, if she liked the sound of the words she’d look at us. If she liked the art, she'd look at the pictures. And sometimes she went back and forth. It’s funny, too—she didn’t always like the books I wanted her to like. She’d want to hear something else and eventually I’d come around to what she saw in a particular story. Parenting 101. Illustration by David Shannon. Author photo by Blue Trimarchi.